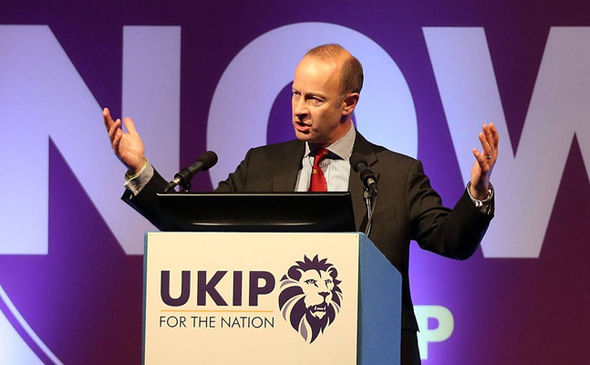 The Backbencher – UKIP’s New Leader: Who is Henry Bolton? Henry Bolton OBE has just been elected as UKIP’s fourth new leader in just over a year in what has become one of the most unexpected victories in recent memory. Politicos across the country were left confused and bewildered by the result. Bolton is relatively unknown and has never been a prevalent force in British politics unlike his leadership competitors; Peter Whittle or Anne Marie Waters. So, who is Henry Bolton? Ever since the resignation of Nigel Farage, UKIP’s leadership has been in total disarray with Farage’s initial replacement (Diane James) lasting only 18 days before resigning. Farage stood-in as acting leader before Paul Nuttall’s reign who quit after the 2017 general election. Bolton was an outside candidate with Whittle and Waters being the favourites to take the contest. However, Whittle finished a shocking fifth whilst Waters came second to Bolton who received 30% of the vote. A former army and police officer, Bolton joined UKIP in 2014 and was a clear underdog throughout his leadership campaign until his other candidates dropped out to endorse him. Most notably, Bolton was Nigel Farage’s number one candidate which swayed the odds massively in his favour. Many UKIP figures were worried to see an Anne Marie Waters victory with Bolton challenging the decision to allow her to stand. A few weeks later, Bolton warned that UKIP was in danger of becoming the “UK Nazi party” if the wrong candidate was elected as leader; although he didn’t directly refer to Waters the comments were interpreted as an attack on her. Farage tweeted that he was “delighted” with the result and that Bolton was “a man of real substance.” Bolton said that he will “resume Nigel Farage’s legacy by restoring UKIP’s relevance and authority” – a phrase similarly used in 2016 by Breitbart editor and former leadership hopeful, Raheem Kassam. For those with exceptional memory, you may have recognised Bolton from the 2005 general election when he stood as a Liberal Democrat candidate in Runnymede and Weybridge – Philip Hammond’s constituency. Prior to his political career, Bolton served in the British army from 1979-1998 reaching the rank of captain. After leaving the army, Bolton was a police officer for eight years in the Thames Valley force during which time he received an award for outstanding bravery. Bolton has also worked for the United Nations end even spent three years in the European Union in Common Security and Defence Policy roles. In 2013, he was awarded the OBE in the Queen’s New Year’s Honours “for services to international security and stabilisation.” More recently, Bolton stood as UKIP’s candidate in the 2016 Kent Police Crime Commissioner election where he finished second to Matthew Scott. Bolton promises to hold the government to account and pressure them to follow through with a hard Brexit but he also recognises that UKIP can no longer be a single-issue party. LBC conducted a poll asking, “Is there a future for UKIP?” with 56% believing that the party is over and only a mere 26% seeing a future for UKIP. In an interview with BBC Radio 4, Bolton discussed the Brexit negotiations; “It is absolutely crucial that this country is fully prepared to walk away because otherwise the EU is going to be negotiating forever on this and they are just going to string us along.” In addition to this, Bolton said that Theresa May’s proposed two-year transitional period was “extremely unwelcome” and that his vision of Brexit would have no transitional period as well as a full withdrawal from the single market and customs union. Bolton now has the job of convincing the electorate that the party is still relevant, not only this, he must also heal the divides that have been caused by this drawn-out leadership contest. Bolton quoted the motto of Sandhurst Military Academy in his victory speech, “Serve to Lead”, stating that the party must serve the country.